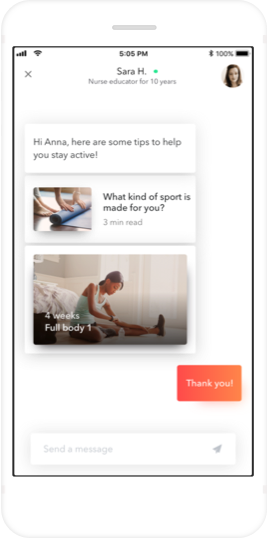 Meet Aby, the app that can help you as you live with Multiple Sclerosis. Access to a nurse educator to answer questions you may have about life with Multiple Sclerosis. 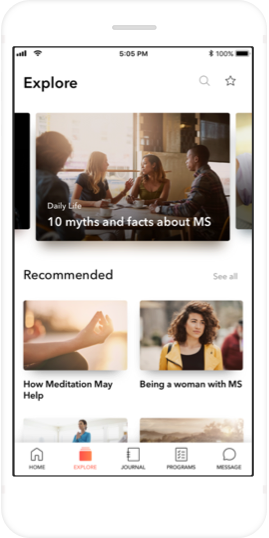 Content featuring tips, tools, inspirational patient stories and news about Multiple Sclerosis. 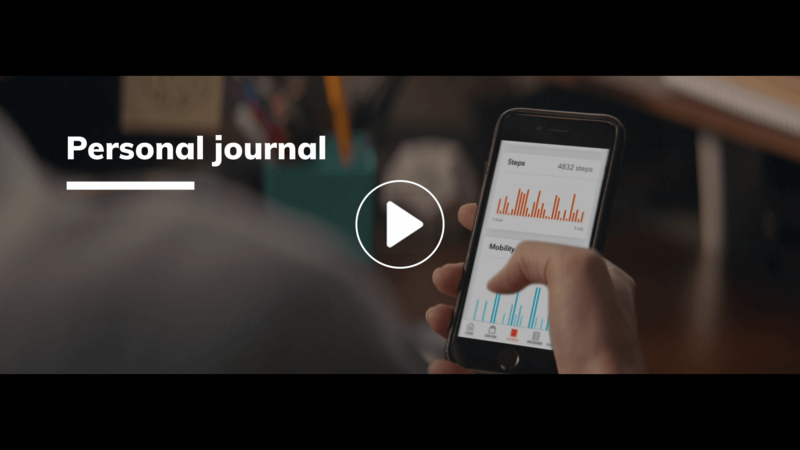 Keep track of your health, visualize your data, and share reports with your healthcare provider. 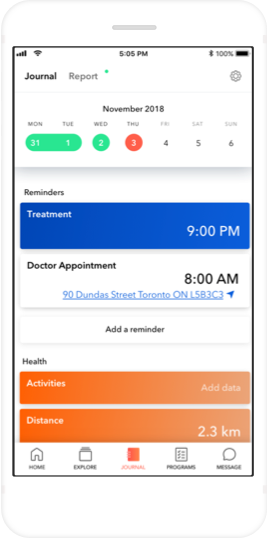 Set treatment and appointments reminders. Programs designed by healthcare professionals tailored to life with Multiple Sclerosis. You live a life of greatness. 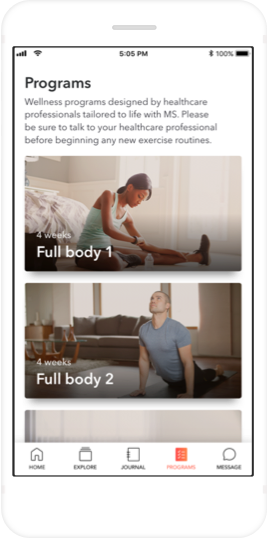 Download Aby, the app that helps you as you live with Multiple Sclerosis. Your data will be securely stored and protected. Share Aby to spread the word! © 2018 ‌Aby. All rights reserved. You are using a french browser, do you want to switch to the french version ?